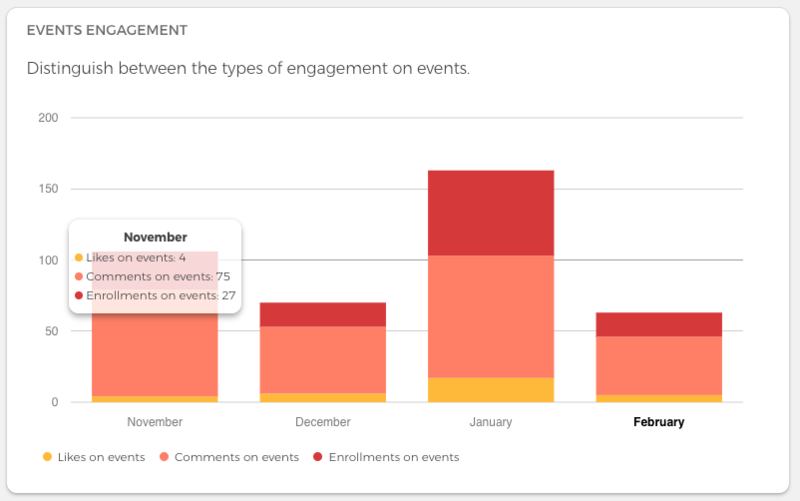 Site managers can monitor community performance using the Community Health Analytics tool. The number of users and active users every month in the past year. 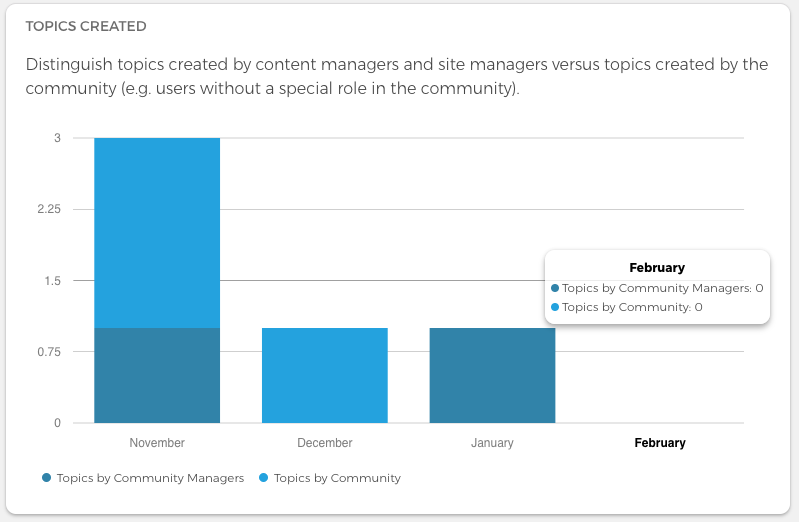 The number of topics and groups created every month in the past four months by the community and by the community managers (including site managers and content managers) respectively. The number of likes, events, and posts, and comments on topics created every month in the past four months. 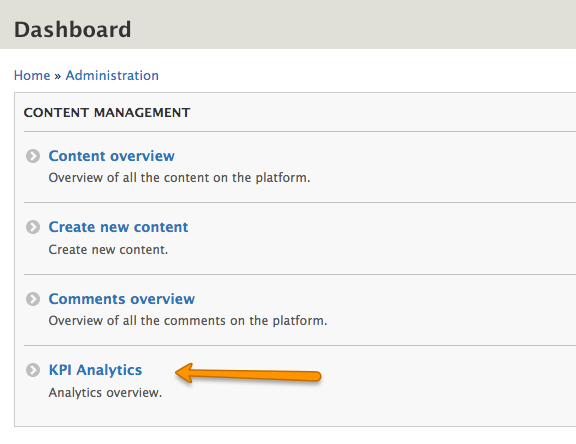 The analytics tool is only available for site managers and can be reached via site manager dashboard.